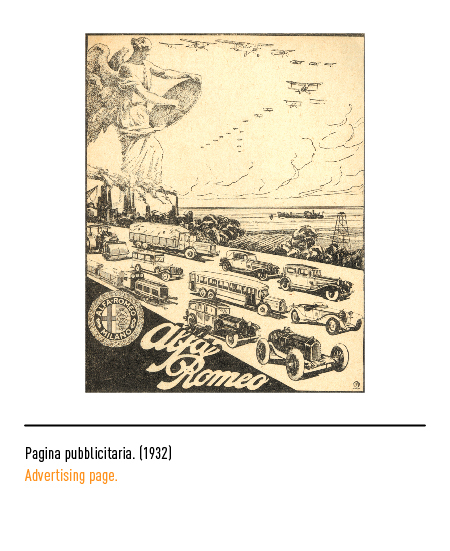 English automobile manufacturers Darracq. 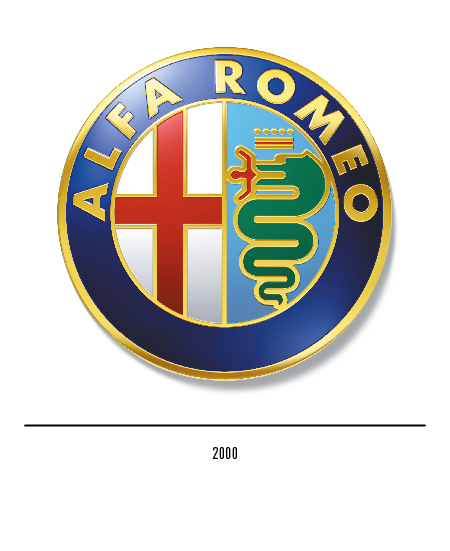 The latter firm was in severe financial straits owing to a sharp drop in sales. 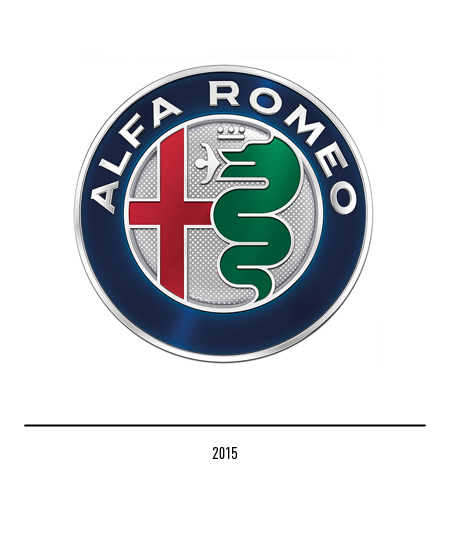 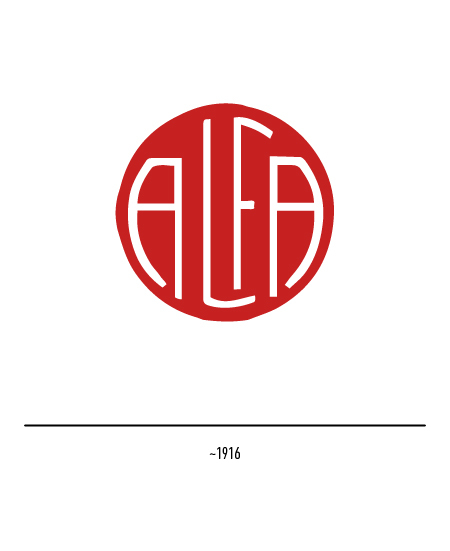 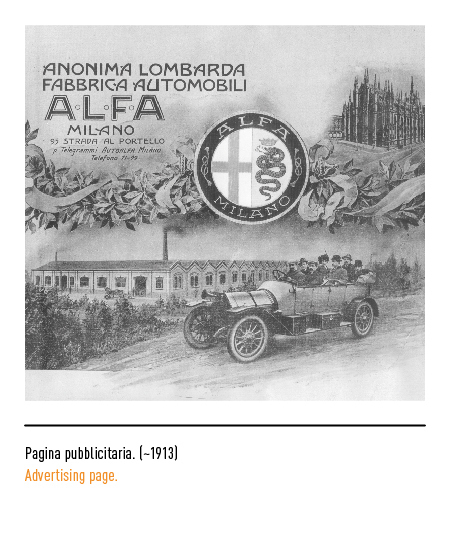 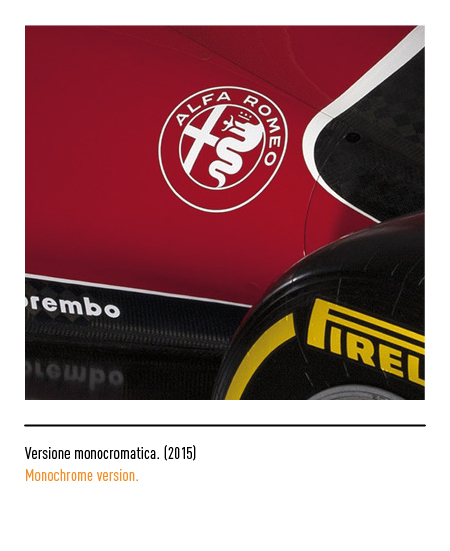 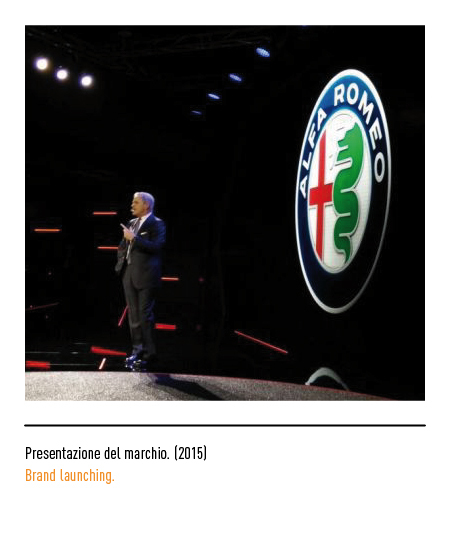 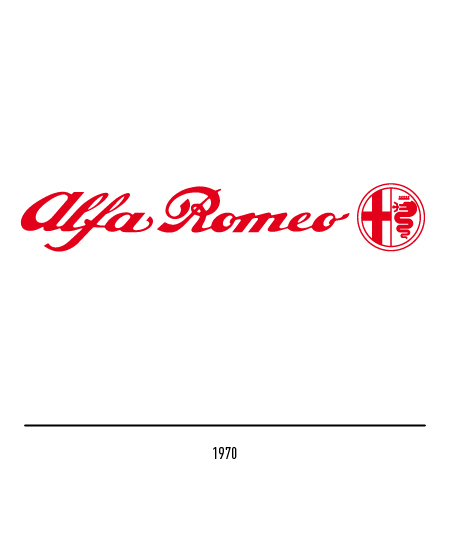 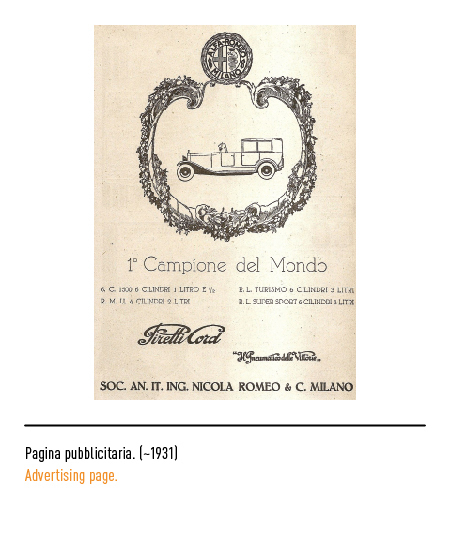 Initially, the new firm was simply called "Alfa", an acronym for "Anonima Lombarda Fabbrica Automobili". 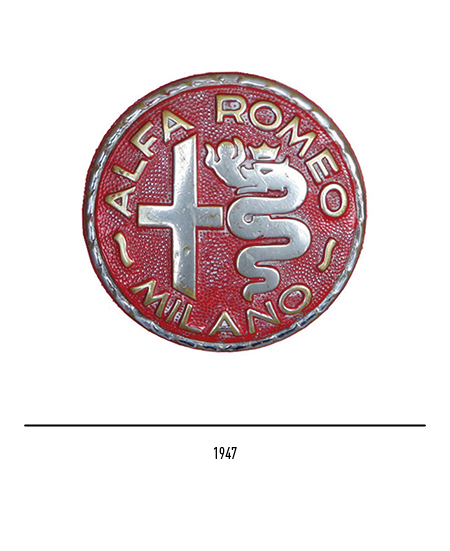 Its marque-plate portrayed sinuously arranged floral motifs typical of the art nouveau style. 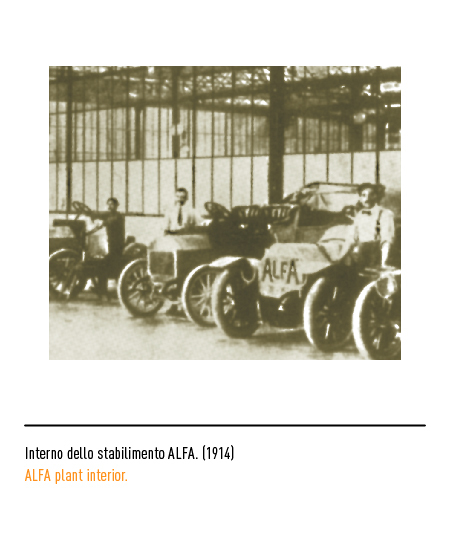 Ever since its establishment, the firm has played an important role in the automobile sector worldwide. 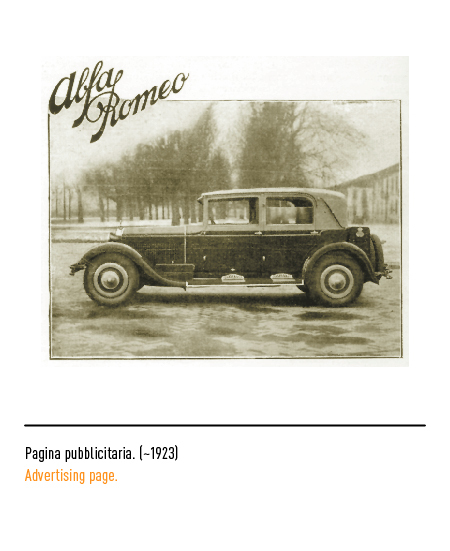 It initially manufactured competition racing cars and subsequently medium to large cylinder capacity saloon cars. 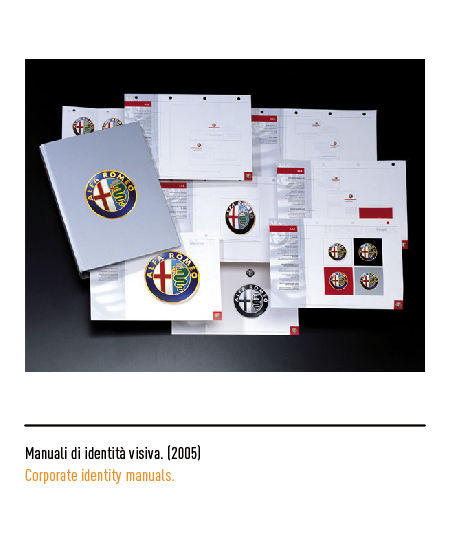 The marques evolution amply witnesses to the attention given by the firm to its image. 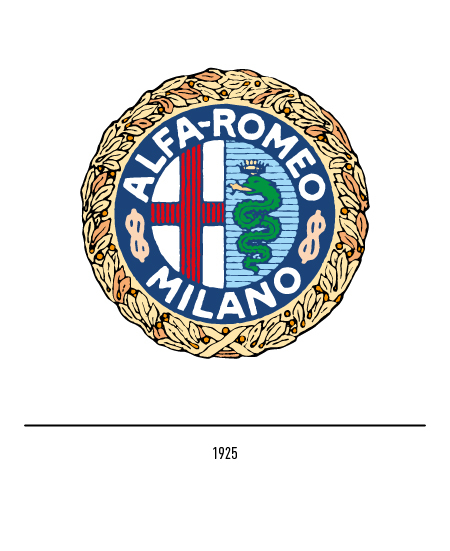 From the start, it was to adopt as its main device the historical coat of arms of the city of Milan at the time of the self-governing city-states of Italy. 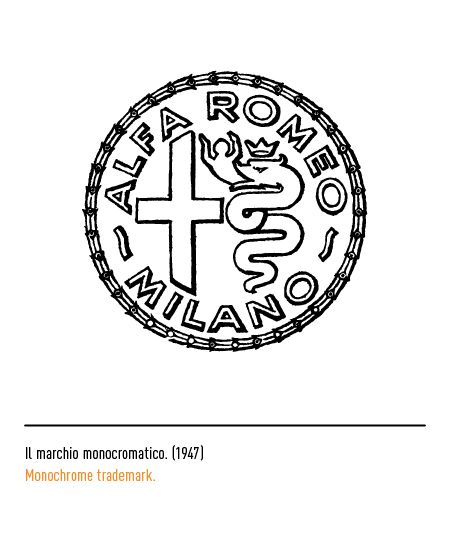 In fact, in 1912 its trade-mark consisted in the city's emblem of a red cross against a white background used at the time of Giovanni da Rho together with the serpent of the Visconti family steeped in the traditions of ancient Lombardy. 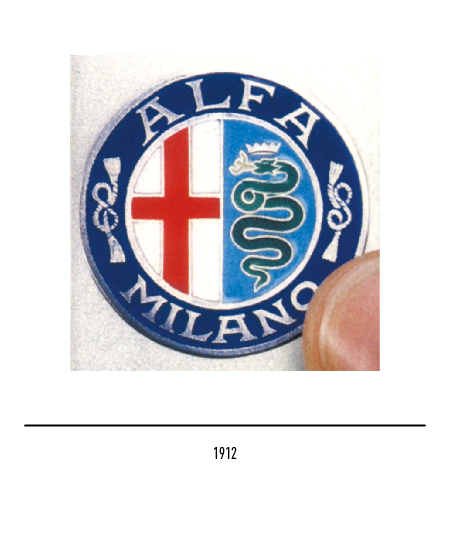 According to some authorities, this later devise originally represented the Biblical serpent swallowing a child against a light-blue background as adopted by the Milanese Crusaders for their heraldic banner. 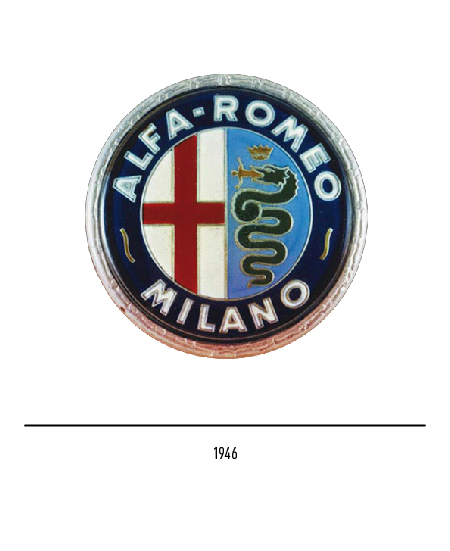 In any case, after vanquishing a Saracen knight who boasted "eating Christians" (see Ferrari), Arnolfo II adopted, to use Dante's words, "the adder that the Milanese displays" for his coat of arms. 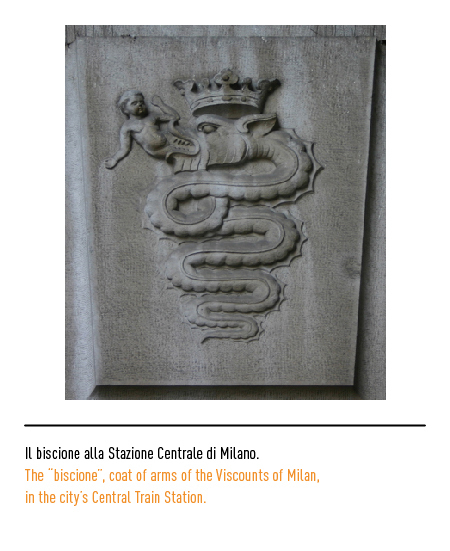 According to others, the symbol was taken from the image of a bronze serpent brought to Milan in 1002 and immediately reproduced on a column in St. Ambroise's Church. 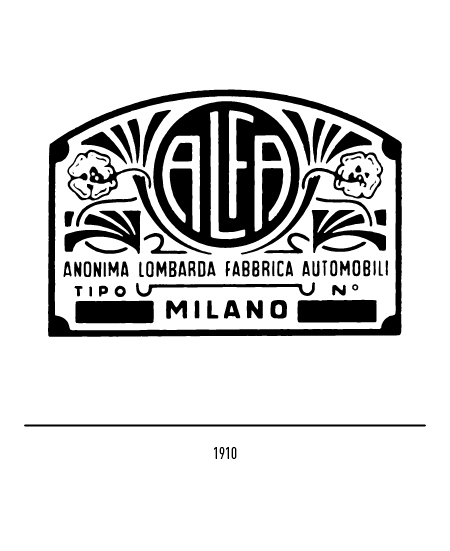 Be it as it may, these, then, were the motifs inscribed within a circular fascia of two ribbons tied together by a so-called Sabaudian knot with the wording "Alfa Milano" in lettering with serifs that went into making up the automobile manufacturer's trade-mark. 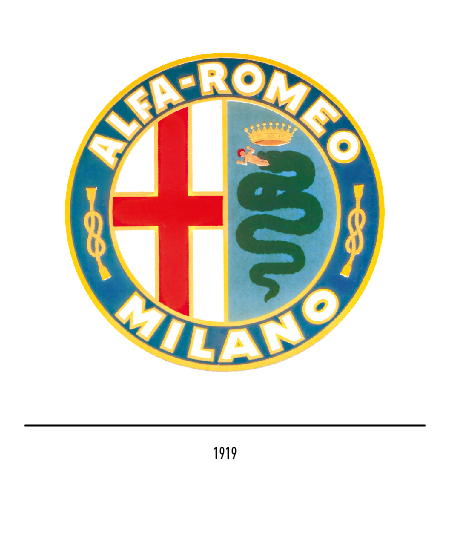 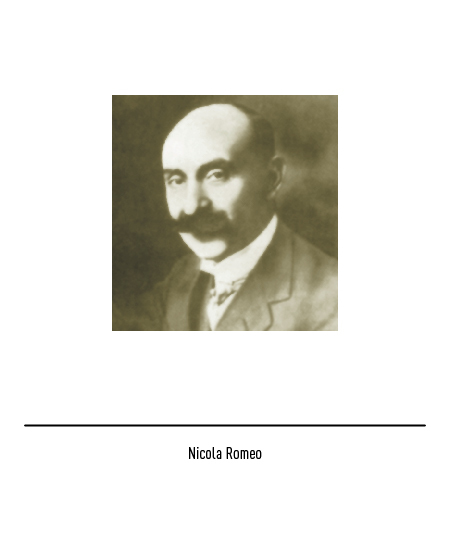 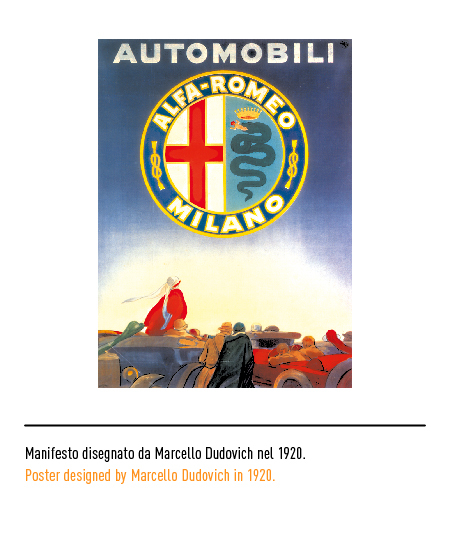 The definitive wording, "Alfa-Romeo Milano" in slender lettering, was adopted in 1918 after the firm's acquisition by the Neapolitan engineer Nicola Romeo in 1915. 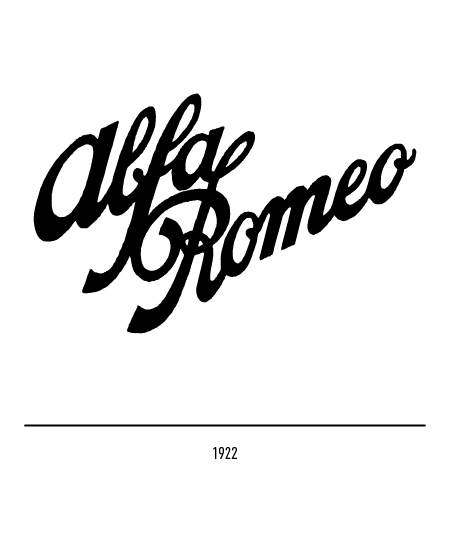 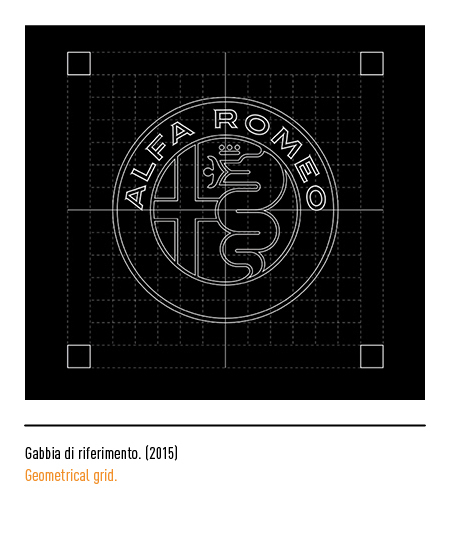 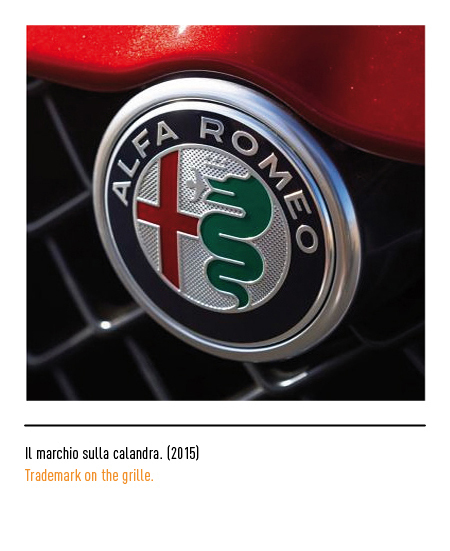 The calligraphic logotype "Alfa Romeo", originally arranged on two lines and subsequently on one only, was to first appear on car radiators in 1922. 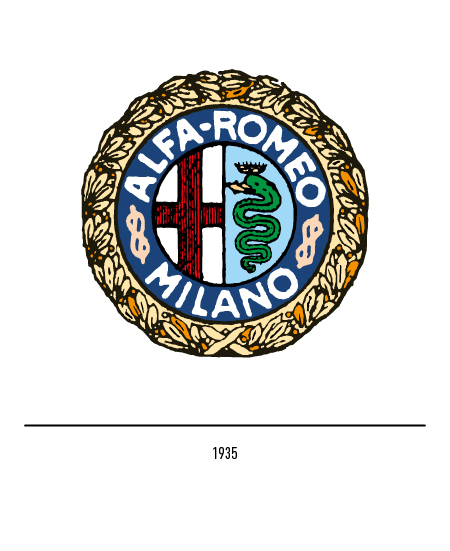 The laurel leaf crown celebrating the victory at the first edition of the World Racing Car Championship won by Alfa-Romeo with its car "Alfa P2" was added in 1925. 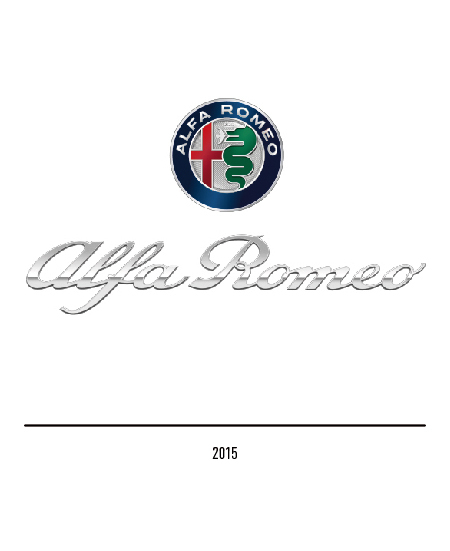 Two peculiarities are worth noting. 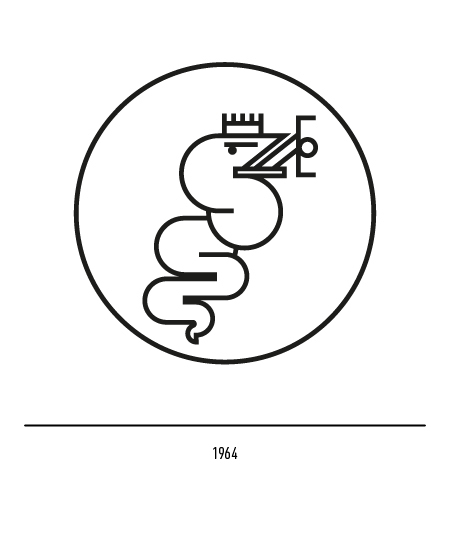 In the first circular trade-mark the serpent appeared to be twisting its head a full three-hundred and sixty degrees, a detail missing in the 1935 version. 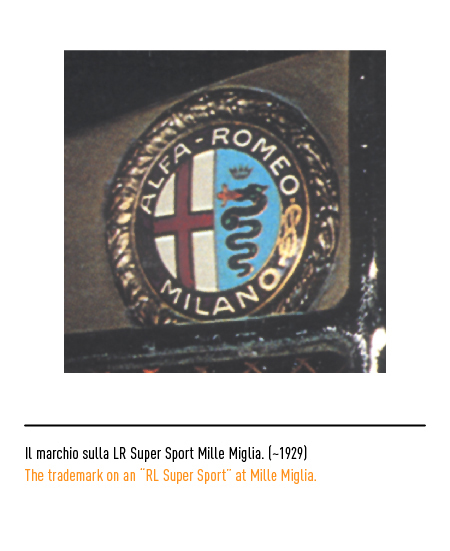 But in a 1937 rendition during the Italian Fascist regime the wording was changed to an autarchic "Milano-Napoli" and the serpent was once more depicted with its head twisted all around! 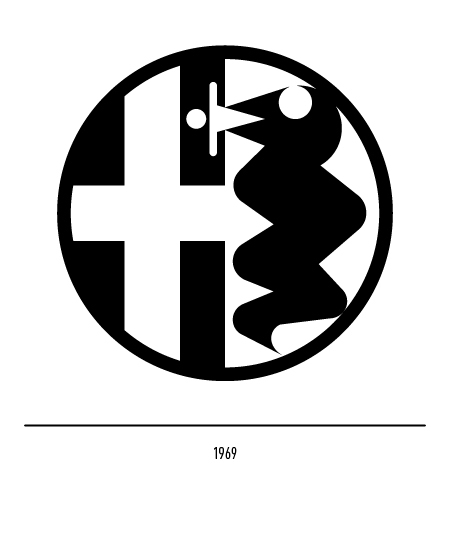 In 1946 after the fall of the monarchy and the proclamation of the republic the Saubadian knot was deleted and replaced by two wavy lines. 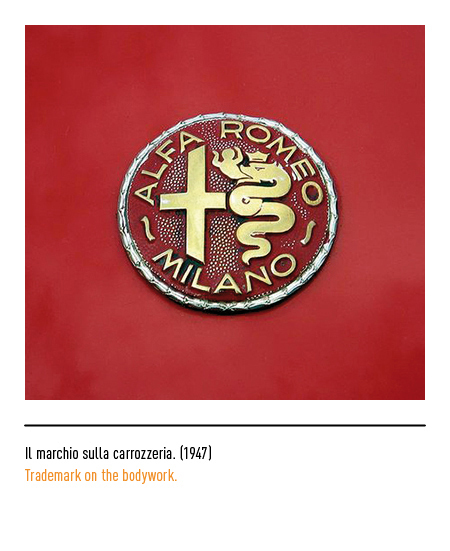 As there were no restrictions or special criteria dictating its use, for several years the trade-mark was liberally interpreted. 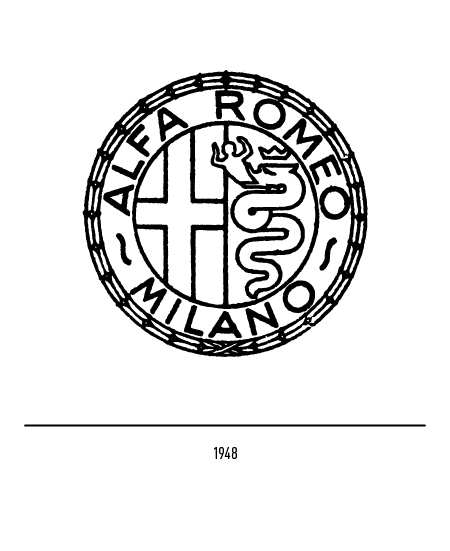 Between 1946 and 1950 the child devoured by the serpent was set at an angle and the laurel leaf crown was given less prominence. 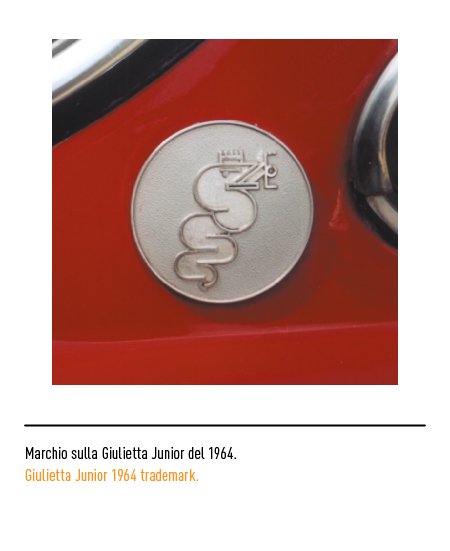 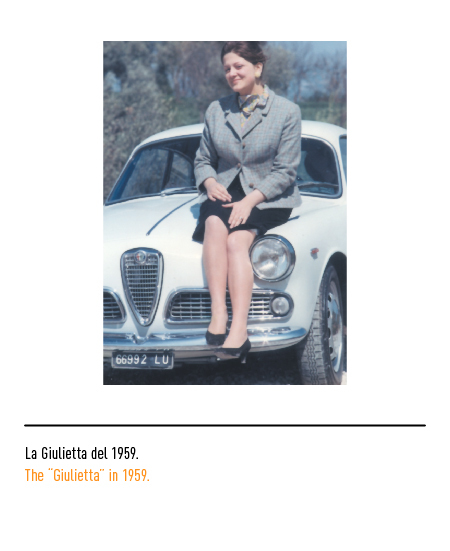 In 1964 the Giulietta Junior was graced by a stylised rendition of only the Visconti serpent facing to the right. 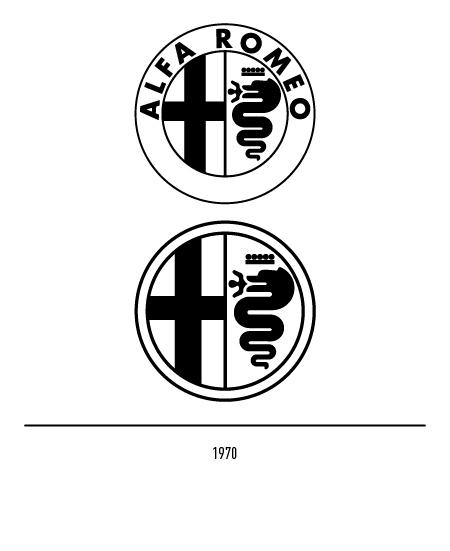 In 1969 in a rather disputable move the serpent was so stylised to the extreme and the child was wholly deprived of any human connotations. 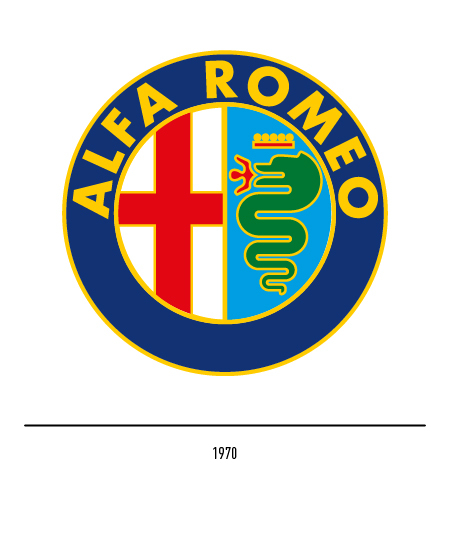 After the opening of the Alfasud plant at Pomigliano d'Arco near Naples the word "Milano" was dropped from the trade-mark and only the two Milanese symbols were maintained surmounted by the words "Alfa Romeo" in Futura-style lettering. 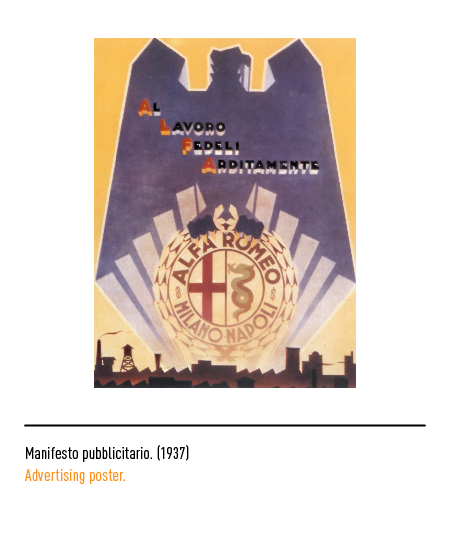 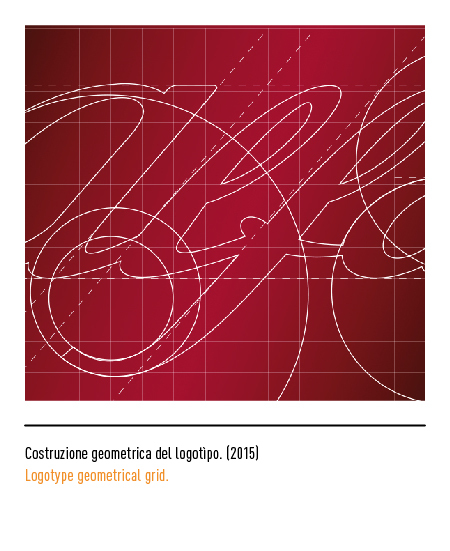 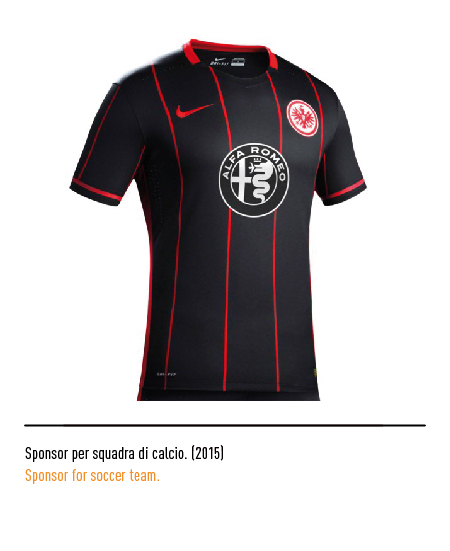 As for the previous colour and monochromatic versions the new design was the work of Pino Tovaglia. 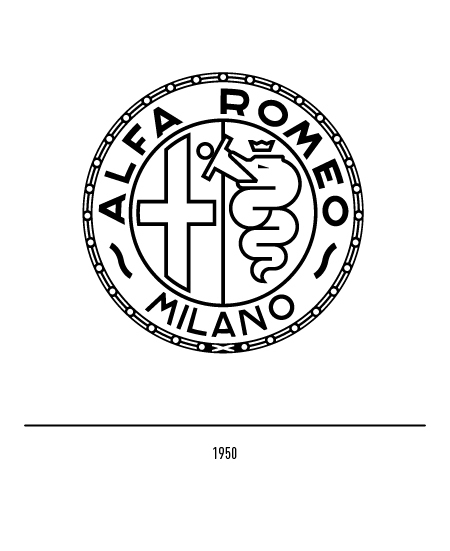 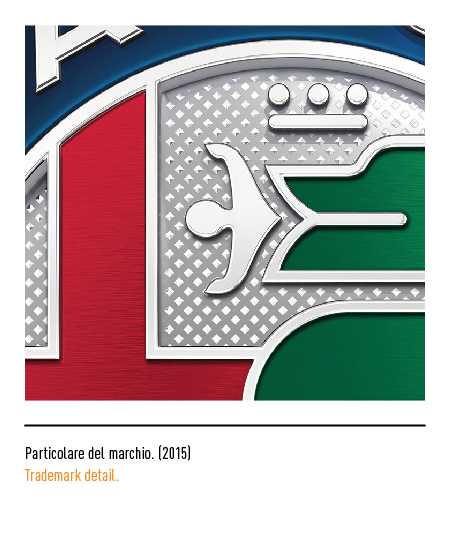 In 2000 the trade-mark was touched up by Maurizio Di Robilant acquiring a more contemporary look. 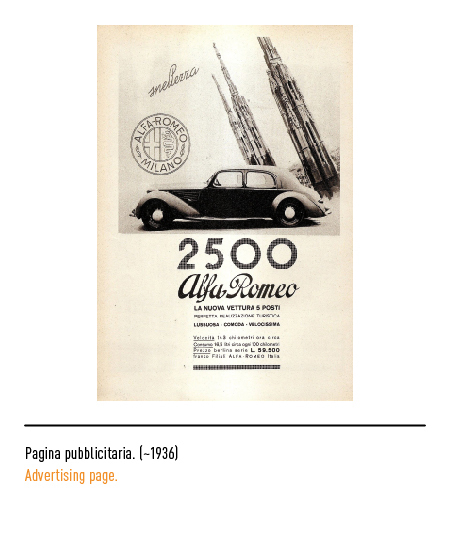 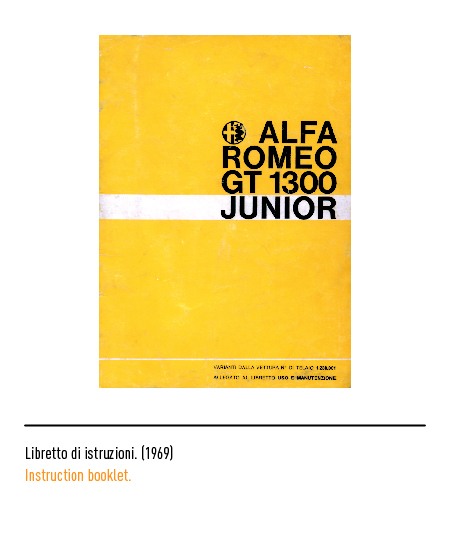 Mara Campana, “Alfa Romeo 1910/1985”, in Linea Grafica, n. 6, novembre 1985, Azzurra Editrice, Milano. 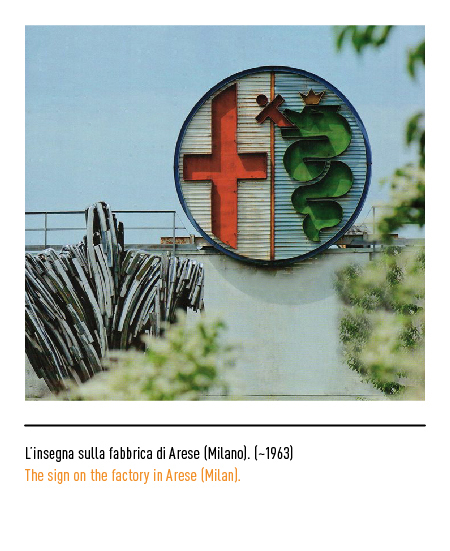 Elvira Ruocco, “L’Alfa senza segreti” in Quadrifoglio, n. 83, marzo-aprile 2002, Satiz, Milano.